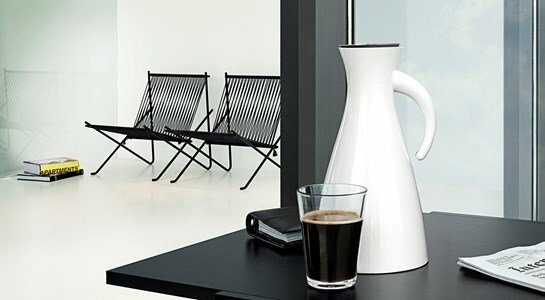 Stylish vacuum jug from Eva Solo is suitable for hot beverages such as tea, coffee and hot chocolate. But do you prefer cold drinks? No problem, this jug solves your problem! 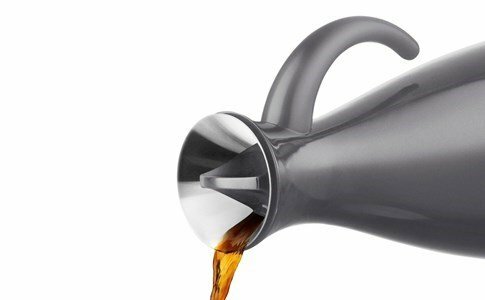 The vacuum jug is very functional and easy to fill, completely drip-free thanks to the stainless steel pouring lip. The shorter vacuum jug's shape gives it a low centre of gravity for additional stability. The outer is made of plastic, while the inner flask is made of glass.